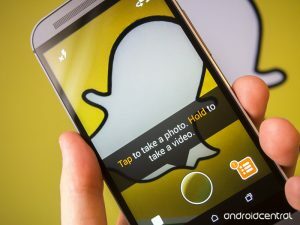 Snap, following complaints by Saudi authorities, has removed the Doha-based Al Jazeera from its application Snapchat in the Saudi Kingdom, at a time Riyadh is at war with pro-Qatar sentiments. The move, the company noted on Sunday is in line with Saudi local laws. Saudi Arabia, United Arab Emirates (UAE), Bahrain and Egypt have since June 5 severed ties with Qatar, cutting sea, air and land links with their regional neighbor. They accuse Qatar of sponsoring terrorism. Doha has rejected the accusation pointing out that it was victim of a smear campaign. The four have blocked all Doha-linked media and revoked al Jazeera’s credential. The boycotting countries accuse Doha of using Al Jazeera to stir up opposition in their territories. The four had set closure of the news channel as one of 13 conditions to fulfil before they normalize ties with Qatar. Saudi Arabia and the UAE have criminalized every act and sentiment in favor of Qatar or call for ending the diplomatic spat. Written by: KanelkaTagba on September 18, 2017. Posted by KanelkaTagba on Sep 18 2017. Filed under Gulf News, Headlines. You can follow any responses to this entry through the RSS 2.0. Both comments and pings are currently closed.